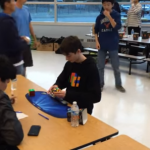 Official Rubik's cube world record single by Mats Valk. 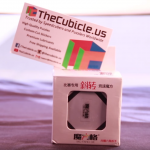 Cube used: Valk3M - https://thecubicle.us/cubicle-valk-p-7936.html Also special thanks to QiYi (https://www.facebook.com/mofanggecube) for cooperating and making the Valk3! Second round of Jawa timur open in Indonesia on November the 6th. Part of a 6.89 average. This video is being managed exclusively by Newsflare. 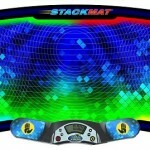 Check out Mats channel here- http://www.youtube.com/user/mvcuber12 He is using a Dayan 5 Zhanchi - http://tinyurl.com/Dayan5ZhanChi . This is Mats Valks amazing new 5.55 second world record solve at the Zonhoven Open in Belgium. It took place in early March 2013. I made this edit shortly after the original video was uploaded.